Clutches For Men? 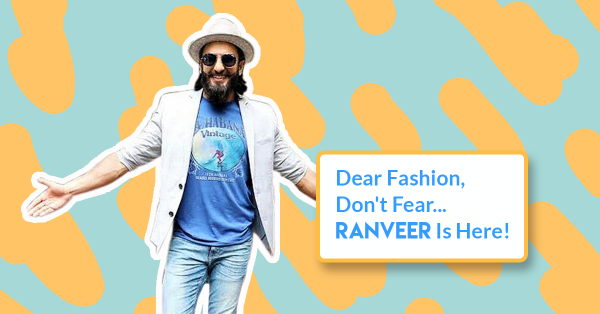 We Think Ranveer’s Trying To Start A Trend! 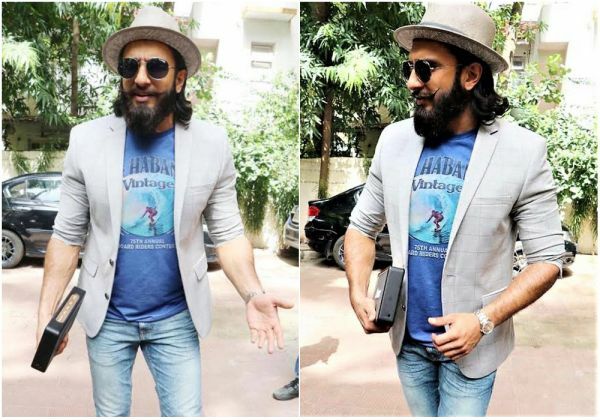 Ranveer Singh’s dressing style needs no introduction. He can literally pull off any look like a boss. He’s at a point where he makes the ‘trend’ and we just make our peace with it. And of course, we will have to appreciate him for making a strong impact on men’s fashion using feminine styles. He sure made some quirky choices with the skirt-suits he donned but he certainly knew how to carry them. Ranveer recently got some compliments on his birthday from Virender Sehwag but he aced that conversation as well! So after pushing the boundaries of men’s clothing, what is he upto now? Well, he’s got his hands full on accessories. First, the radio bag and now, he was recently spotted with a striped box clutch with ‘Marshall’ embossed on it, as per a report by India Today. And oh boy! It made sense… He looked uber-cool! You may or may not like his fashion choices at times but you have to agree that this guy has a point. He’s breaking the fashion stereotypes and it’s okay! And we actually can’t wait to see what is he upto next. So, stay tuned for more.